Brief synopsis: LION, 5-year-old Saroo gets lost on a train and he is stranded away from home. Somehow he survives living on the streets of Kolkata, before ending up in an orphanage. Eventually he is adopted by an Australian couple, finding love and security, but suppressing his hope of finding home. With just a small store of memories Saroo embarks on a truly epic quest for home. Brief synopsis: When the peaceful island of the Mandarin Ducks is mistakenly invaded by the Military Mallards, a conflict flares up between the Mandarin Emperor and the Mallard Commander. Longway, the Emperor’s son, and Erica, the daughter of the Mallard Commander, meet… and before long, a friendship takes wing. While their feathered fathers fight and egg each other on, the wicked Ms. Knout is con-duck-ting a scheme to destroy the sun. Brief synopsis: Moonlight is a timeless story of human connection and self-discovery. The film chronicles the life of a young black man from childhood to adulthood as he struggles to find his place in the world while growing up in a rough neighbourhood of Miami. Marcus Malone from Detroit Michigan plays Blues and Soul having performed at the Royal Albert Hall opening for BB King, Burnley, Upton and Colne Festivals in the UK; and various UK Art Centres and Blues Clubs including Darlington Arts Ctr and the Brewery Arts. Brief synopsis: DreamWorks Animation and the director of Madagascar invite you to meet a most unusual baby. He wears a suit, speaks with the voice and wit of Alec Baldwin, and stars in the animated comedy, DreamWorks’ The Boss Baby. The Boss Baby is a hilariously universal story about how a new baby's arrival impacts a family, told from the point of view of a delightfully unreliable narrator, a wildly imaginative 7 year old named Tim. With a sly, heart-filled message about the importance of family, DreamWorks‘ The Boss Baby is an authentic and broadly appealing original comedy for all ages. 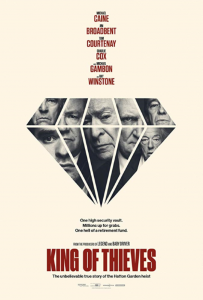 Brief synopsis: A remarkable true story set over one long Easter weekend; THE HATTON GARDEN JOB follows four ageing East End criminals led by 76 year-old Brian Reader and one mystery man who pull off the largest heist in English legal history. With everyone from the Hungarian mob to Scotland Yard on their tail, these old-school and just plain old villains set about achieving the seemingly impossible, drilling into a steel-and-concrete secured safety deposit vault in London s well-to-do Hatton Garden jewellery quarter. 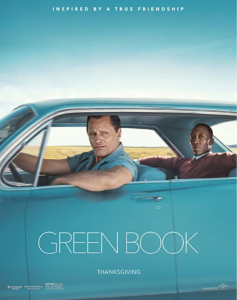 Brief synopsis: Desperate to pay the bills and come through for their loved ones, three lifelong pals risk it all by embarking on a daring bid to knock off the very bank that absconded with their money. Brief synopsis: In the days before the infamous D-Day landings in June 1944. As allied forces stand on the south coast of Britain, poised to invade Nazi-occupied Europe, they await Churchill’s decision on whether the invasion will actually move ahead.Fearful of repeating his mistakes from World War I on the beaches of Gallipoli, exhausted by years of war, plagued by depression and obsessed with fulfilling historical greatness, Churchill is also faced with constant criticism from his political opponents; General Eisenhower and Field Marshal Montgomery. Doña Oxford is an extraordinary, soulful and passionate singer, songwriter and keyboardist who's Old School, Soul vocals and her love of Rock & Roll piano infuses to create a unique sound many have compared to "Gladys Knight meets the Rolling Stones". As a keyboardist, Doña has played with many Rock and Blues legends including Keith Richards, Van Morrison, Roger Daltry, Albert Lee, Buddy Guy, Bob Weir, Levon Helm, Son Seals, Hubert Sumlin, Julia Fordham, Harry Shearer, Judith Owen, Chris Farlowe, Andy Fairweather Low, Mike Berry, Shakin' Stevens, Steve Lukather, Leland Sklar, and her idol, the former Chuck Berry sideman and Father of Rock & Roll Piano, Mr. Johnnie Johnson! Known as the 'Goddess Of Soul, Blues & Boogie', Doña brings her sassy, soulful band throughout the world, touring over 22 countries and 48 States. In addition to recording 4 albums of her own, she also finds time to play on numerous Grammy and Handy winning albums and movie scores including the Eddie Murphy box office hit "Norbit", the Martin Lawrence film "Welcome Home Roscoe Jenkins" and the very funny Comedy Central favorite "Senior Skip Day". Doña's high energy, funky, groovy, gritty, and raucous sound will get the crowd on their feet and dancing in the aisles. Don't miss the artist that Golden Globe Nominee Ewan McGreggor said was "The next big thing in music!" 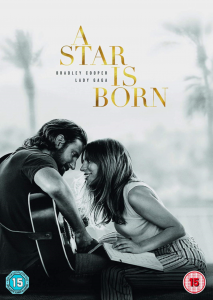 Brief synopsis: Determined to gatecrash her ex-lover's funeral on glamorous French hideaway Ile-de-Re, former Hollywood siren Helen (Joan Collins) escapes her London retirement home with the help of Priscilla (Pauline Collins), a repressed English housewife stuck in a bad marriage. Pooling their limited resources, they hit the road together by coach, ferry, car and foot in a race to get to the funeral on time, becoming entangled in a love triangle with a reclusive Italian millionaire (Franco Nero) along the way. On this unforgettable journey, they find true friendship in one another - and have the time of their lives. Brief synopsis: Blindsided by a new generation of blazing-fast racers, the legendary Lightning McQueen (voice of Owen Wilson) is suddenly pushed out of the sport he loves. To get back in the game, he will need the help of an eager young race technician, Cruz Ramirez (voice of Cristela Alonzo), with her own plan to win, plus inspiration from the late Fabulous Hudson Hornet and a few unexpected turns. Proving that #95 isn’t through yet will test the heart of a champion on Piston Cup Racing’s biggest stage! 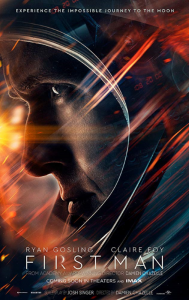 Brief synopsis: The incredible untold true story of Katherine Johnson (Taraji P. Henson), Dorothy Vaughan (Octavia Spencer) & Mary Jackson (Janelle Monae)-brilliant African-American women working at NASA, who served as the brains behind one of the greatest operations in history: the launch of astronaut John Glenn into orbit. This stunning achievement galvanized the world and inspired generations to dream big. 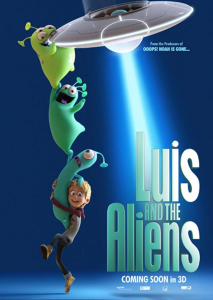 Brief synopsis: Illumination, the creators of Despicable Me and the biggest animated hits of 2013 and 2015, Despicable Me 2 and Minions, continues the story of Gru, Lucy, their adorable daughters—Margo, Edith and Agnes—and the Minions in Despicable Me 3. Brief synopsis: Based on Lissa Evans’ novel, ‘Their Finest Hour and a Half’, THEIR FINEST is a witty, romantic and moving portrayal of a young woman finding her way, and her voice, in the mayhem of war… and the movies! 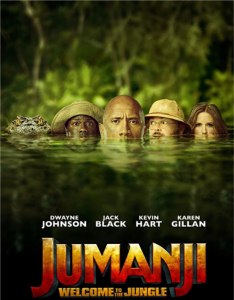 Brief synopsis: This outrageous family comedy tells the story of two overly imaginative pranksters, George (Kevin Hart) and Harold (Thomas Middleditch), who hypnotise their principal (Ed Helms) into thinking he’s an enthusiastic, yet dimwitted, superhero named Captain Underpants. Brief synopsis: Based on the infamous 1941 true story, Whisky Galore! 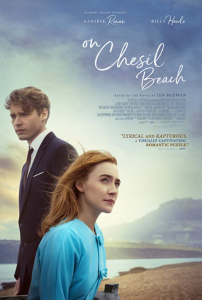 is a charming and heart-warming tale of a close-knit Scottish island community who mischievously relieve a sinking cargo ship of cases of whisky during wartime scarcity. The ensuing merriment is threatened when Excise Men try to spoil the party by catching the crafty locals, red handed, with the bottled loot. After enduring a dry period, the shipwreck and its amber cargo was like mana from heaven to the islanders, to whom whisky was part of the very life blood of their Island! No matter what day of the week they come to town, every night is a Saturday night when The Urban Voodoo Machine hit the stage. A spectacular mash up of musical genres, instruments and carnival chaos on stage, they bring to the party everything we love about a live rock 'n' roll show. Without doubt they are one of the best bands on the UK live circuit right now, you should never miss the chance to check them out !!! Brief synopsis: Little Nick Tanner has a lot to live up to, what with his father being a famous Dragon slayer... So when an evil witch is possessed by the spirit of an ancient dragon, Nicky must embark on a fantastic quest to save both the world of humans and the world of magic. Along for the ride are best friends Eddie - the wanna-be wizard - and Rocky, the feral wild child. 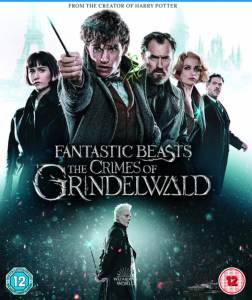 Brief synopsis: When a series of gruesome murders shake Victorian London, Inspector Kildare (Bill Nighy; Their Finest) of Scotland Yard is promoted to lead an investigation into finding the killer. The community believes only the mythical Limehouse Golem could be responsible, but as Kildare uncovers a group of unlikely suspects, he must discover which one is the killer before they strike again. 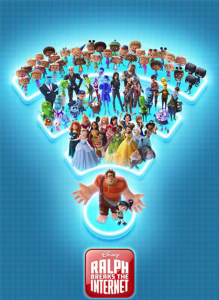 Brief synopsis: The Emoji Movie unlocks the never-before-seen secret world inside your smartphone. Hidden within the messaging app is Textopolis, a bustling city where all your favourite Emojis live, hoping to be selected by the phone’s user. In this world, each Emoji has only one facial expression – except for Gene (T.J. Miller), an exuberant Emoji who was born without a filter and is bursting with multiple expressions. Brief synopsis: Viceroy’s House in Delhi was the home of the British rulers of India. After 300 years, that rule was coming to an end. For 6 months in 1947, Lord Mountbatten, great grandson of Queen Victoria, assumed the post of the last Viceroy, charged with handing India back to its people. The film’s story unfolds within that great House. Upstairs lived Mountbatten together with his wife and daughter; downstairs lived their 500 Hindu, Muslim and Sikh servants. As the political elite - Nehru, Jinnah and Gandhi - converged on the House to wrangle over the birth of independent India, conflict erupted. 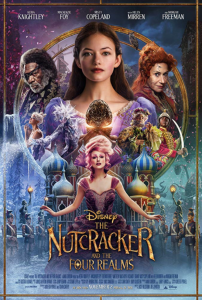 Brief synopsis: Kenny Ortega directs this fantasy adventure sequel following the children of some of Disney's most notorious villains. When the celebrity lifestyle becomes too much for Mal (Dove Cameron), she reverts back to her old ways and returns to the Isle of the Lost. Brief synopsis: The clash of tennis titans is relived with Shia LaBeouf, in a stroke of casting genius, playing John McEnroe. Brief synopsis: “Dunkirk” opens as hundreds of thousands of British and Allied troops are surrounded by enemy forces. Trapped on the beach with their backs to the sea, they face an impossible situation as the enemy closes in. Winners of the Best Female Vocalist and Best Emerging Artist at the British Blues Awards 2016, Birmingham (UK)-based Rebecca and her band are a "must see" live act that often leaves newcomers simply blown away by the power of the performance. With her co-writer Steve Birkett alongside her, a very tight band behind, and Rebecca's powerful voice to the fore, the 5-piece outfit performs original rock/blues tracks from the EP Real Life, the highly-acclaimed debut album Back To The Start and the superb second album Believe, punctuated by a few classic covers. Brief synopsis: Paddington is happily settled with the Brown family in Windsor Gardens, where he has become a popular member of the community, spreading joy and marmalade wherever he goes. 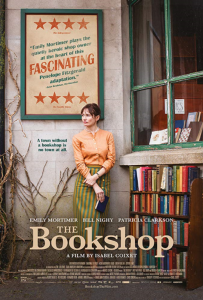 While searching for the perfect present for his beloved Aunt Lucy's 100th birthday, Paddington spots a unique pop-up book in Mr. Gruber's antique shop, and embarks upon a series of odd jobs to buy it. Brief synopsis: Abdul Karim arrives from India to participate in Queen Victoria's golden jubilee. The young clerk is surprised to find favor with the queen herself. 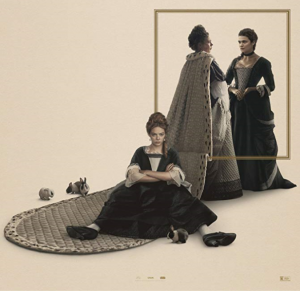 As Victoria questions the constrictions of her long-held position, the two forge an unlikely and devoted alliance that her household and inner circle try to destroy. As their friendship deepens, the queen begins to see a changing world through new eyes, joyfully reclaiming her humanity. 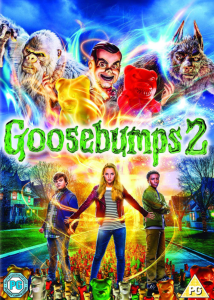 Brief synopsis: When a young boy named Jake accidentally makes a new friend in an experiment gone wrong a troubled town is plunged into chaos. But with the creature rapidly evolving every day, Jake finds it increasingly difficult to keep his new pet secret. 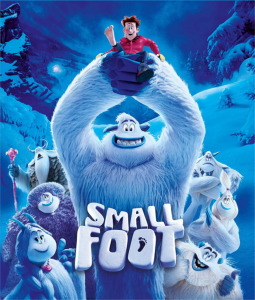 Brief synopsis: Adam, a thirteen-year-old outsider sets out on a daring quest to uncover the mystery behind his long-lost dad - only to discover he is the legendary Bigfoot! As father and son start making up for lost time, Adam soon discovers that he too is gifted with superpowers beyond his imagination. Brief synopsis: Based on Peter Turner’s memoir, FILM STARS DON’T DIE IN LIVERPOOL follows the playful but passionate relationship between Turner (Bell) and the eccentric Academy Award®-winning actress Gloria Grahame (Bening). Liverpool, 1978: What starts as a vibrant affair between a legendary femme fatale and her young lover quickly grows into a deeper relationship. Albert made his name touring with the likes of Eric Clapton, The Everly Brothers and Emmylou Harris' Hot Band through the seventies and eighties, but has maintained a highly devoted fanbase. Respected as much for his unparalleled picking-style as well as his upbeat attitude we look forward to welcoming him back to Mickleton. Brief synopsis: Little bull Ferdinand prefers sitting quietly under a tree just smelling the flowers, rather than snorting and butting heads with the other bulls. 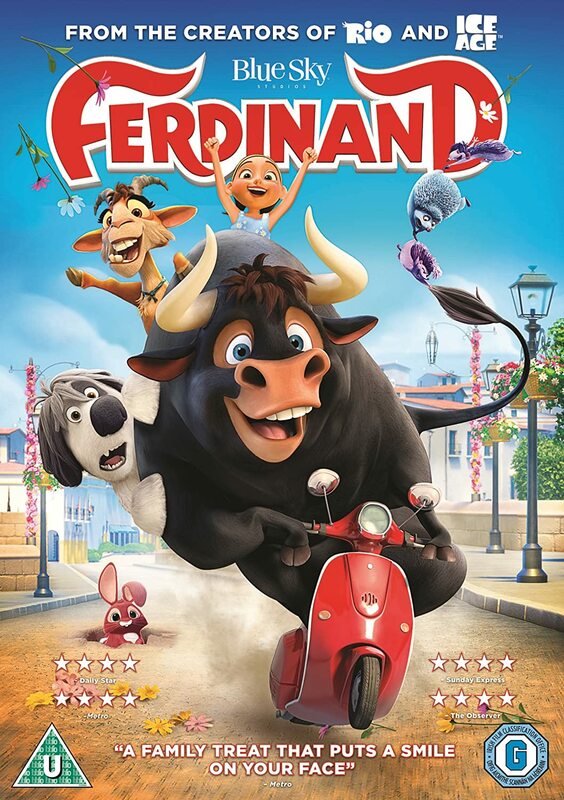 As Ferdinand grows big and strong his temperament remains mellow, but one day five men come to choose the biggest, fastest and roughest bull for the bullfights in Madrid and Ferdinand is mistakenly chosen. Brief synopsis: The Greatest Showman is a bold and original musical that celebrates the birth of show business and the sense of wonder we feel when dreams come to life. Inspired by the ambition and imagination of P.T. Barnum, starring Hugh Jackman, The Greatest Showman tells the story of a visionary who rose from nothing to create a mesmerising spectacle that became a worldwide sensation. Brief synopsis: The Post, a thrilling drama about the unlikely partnership between The Washington Post's Katharine Graham (Streep), the first female publisher of a major American newspaper and editor Ben Bradlee (Hanks), as they race to catch up with The New York Times to expose a massive cover-up of government secrets that spanned three decades and four U.S. Presidents. The two must overcome their differences as they risk their careers - and their very freedom - to help bring long-buried truths to light. Brief synopsis: Set at the dawn of time, when prehistoric creatures and woolly mammoths roamed the earth, Early Man tells the story of Dug, along with sidekick Hognob as they unite his tribe against a mighty enemy Lord Nooth and his Bronze Age City to save their home. Brief synopsis: Despite the title, the Wishbone family are far from happy. In an attempt to reconnect as a family, Mum and Emma plan a fun night out. However, her plan backfires when an evil witch curses them, and they're all turned into Monsters. Brief synopsis: In a story depicted in oil painted animation, a young man comes to the last hometown of painter Vincent van Gogh to deliver the troubled artist's final letter and ends up investigating his final days there. 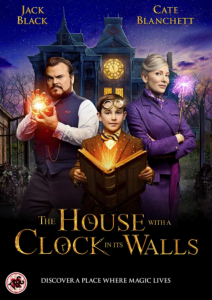 Brief synopsis: When Kassie and her friends stumble across an old, broken pocket watch they begin an unexpected journey to unlock the secret of the legendary Garrison Gold. They'll have to solve riddles and follow clues to find the lost treasure. With the help of her faithful dog, Scoot and her gang of misfit friends, Kassie is about to go on the adventure of a lifetime! 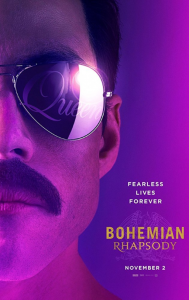 Brief synopsis: The True Story of Molly Bloom, a beautiful young Olympic-class skier, ran the world's most exclusive high-stakes poker game for a decade before being arrested in the middle of the night by 17 FBI agents wielding automatic weapons. Her players included Hollywood royalty, sports stars, business titans, and finally, unbeknownst to her, the Russian mob. is a co-production between November Club and Northern Heartlands. Join our story-telling rabble as they weave their Midsummer Tale about the residents of a village called PLACE: their loves, their losses and their deepest secrets. Featuring professional actors and musicians alongside County Durham residents. 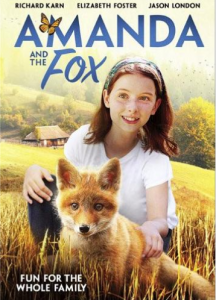 Brief synopsis: Based on the books by Beatrix Potter: Peter Rabbit his three sisters: Flopsy, Mopsy and Cotton Tail and their cousin Benjamin enjoy their days harassing Mr McGregor in his vegetable garden. Until one day he dies and no one can stop them roaming across his house and lands for a full day or so. However, when one of Mr McGregor's relatives inherits the house and goes to check it out, he finds much more than he bargained for. 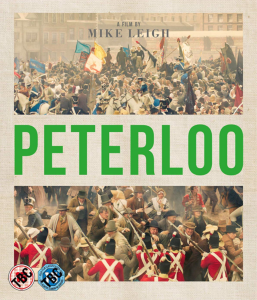 Brief synopsis: Set in a dugout in Aisne in 1918, it is the story of a group of British officers, led by the mentally disintegrating young officer Stanhope, as they await their fate. In the face of fear they found strength in each other. 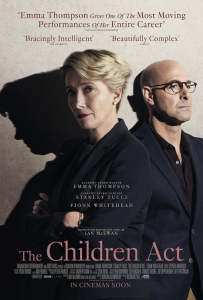 Brief synopsis: After months have passed without a culprit in her daughter's murder case, Mildred Hayes makes a bold move, painting three signs leading into her town with a controversial message directed at William Willoughby, the town's revered chief of police. When his second-in-command Officer Dixon, an immature mother's boy with a penchant for violence, gets involved, the battle between Mildred and Ebbing's law enforcement is only exacerbated. Brief synopsis: Peng is a freewheeling bachelor goose who'd rather do anything than practice for the upcoming migration. He thinks he's better than everyone else and spends his time attempting crazy stunts at even crazier speeds. In one such stunt, Peng flies too near the ground, hits a flock of ducklings and separates brother and sister, Chao and Chi, from the rest. In this unlikely meeting, Peng will begin a journey that will break his wing and nearly break his heart as he grows to understand the power of unconditional love. 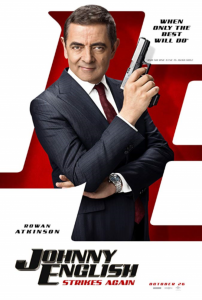 Brief synopsis: A young Russian intelligence officer is assigned to seduce a first-tour CIA agent who handles the CIA's most sensitive penetration of Russian intelligence. The two young officers collide in a charged atmosphere of trade-craft, deception, and inevitably forbidden passion that threatens not just their lives but the lives of others as well. Sari Schorr and her band are one of the most crowd-pleasing, gut-wrecking, festival-killing live acts out right now. Sari has a nearly superhuman level of energy that she puts into her shows. You will hear a voice like no other that is hyper powerful, husky, muscular, with an incredible texture and range. She is able to deliver sentences as a boxer would pick up an uppercut to his opponent. Sari has been called the ‘First Lady of the Blues’ and it’s a struggle to think of anyone else right now who deserves the title more. Her highly crafted songs highlight just how good Schorr is at invoking passion, grit, and empathy. Channelling the voices Grace Slick, Big Mama Thornton and Sister Rosetta Tharpe, Sari Schorr is the embodiment of the best that modern American electric blues has to offer. This is an exceptional show and one that suggests that if you dig Blues Rock music you should sell your soul for a ticket to see her on this tour. Just one visit to see this emotionally-charged critically acclaimed performer will assure you that this vocal volcano is a real-deal force of nature. Brief synopsis: Garden gnomes, Gnomeo & Juliet, recruit renowned detective Sherlock Gnomes to investigate the mysterious disappearance of other garden ornaments. 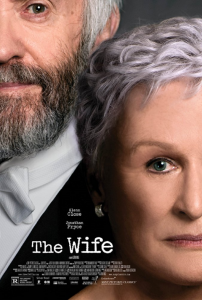 Brief synopsis: On the eve of retirement a middle class, judgmental snob discovers her husband has been having an affair with her best friend and is forced into exile with her bohemian sister who lives on an impoverished inner-city council estate. Brief synopsis: True Story The Guernsey Literary and Potato Peel Pie Society is a movie starring Lily James, Matthew Goode, and Jessica Brown Findlay. A writer forms an unexpected bond with the residents of Guernsey Island in the aftermath of World War II, when she decides to write a book about their experiences during the war. Brief synopsis:Christine "Lady Bird" MacPherson is a high school senior from the "wrong side of the tracks." She longs for adventure, sophistication, and opportunity, but finds none of that in her Sacramento Catholic high school. LADY BIRD follows the title character's senior year in high school, including her first romance, her participation in the school play, and most importantly, her applying for college. Limehouse Lizzy are well regarded as one of the best Thin Lizzy tribute bands. Presenting all the bands greatest hits including Whiskey in the jar and the boys are back in town, the band never fail to put on a fantastic show and have the whole place rocking. A Company Gavin Robertson production, in conjunction with The Highlights Rural Touring Scheme. Using Mata Hari's own words, performer Katharine Mary gives a powerful portrayal of a compelling woman, the world's first femme fatale! Dancer, lover, confidante and courtesan. From her upbringing in The Netherlands, to Indonesia, and the invention in Paris of her alter-ego, she reflects upon the events that have led her to the firing squad. 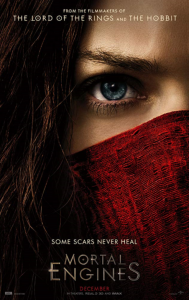 With original music and sound design by Danny Bright. Brief synopsis: In 'Incredibles 2', Helen is called on to lead a campaign to bring Supers back, while Bob (voice of Craig T. Nelson) navigates the day-to-day heroics of 'normal' life at home with Violet, Dash and baby Jack-Jack whose superpowers are about to be discovered. Their mission is derailed, however, when a new villain emerges with a brilliant and dangerous plot that threatens everything. But the Parrs don't shy away from a challenge, especially with Frozone by their side. That's what makes this family so Incredible. Brief synopsis: Four longtime friends and book club members "Diane Keaton, Jane Fonda, Candice Bergen and Mary Steenburgen" have their lives upended when they aim to spice up their mundane routines by reading the provocative bestseller Fifty Shades of Grey. With newfound confidence, they each begin to come alive as exciting romances are ignited and old flames are rekindled. Through it all, the ladies inspire one other to make this next stage of their lives the best and steamiest thus far. The Burning Hell is the alter-ego of Canadian songwriter Mathias Kom, and the band has been on the road in one form or another since 2007. Musically, the lineup and sound of the Burning Hell has been ever-changing, running the gamut from introspective folk to hyperactive rock and roll. This means both that no two Burning Hell records sound alike, and that the band can adapt to its surroundings like a karma of anthropomorphic chameleons, taking the audience on a supermarket-cart ride through hooky, upbeat pop songs, dark ballads about pet euthanasia, and anthems for barbarians, economic conferences, and love. 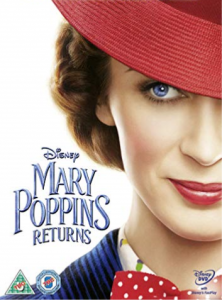 Brief synopsis: Discover Donna's (Meryl Streep, Lily James) young life, experiencing the fun she had with the three possible dads of Sophie (Amanda Seyfriend). As she reflects on her mom's journey, Sophie finds herself to be more like her mother than she ever even realized. Everyone is welcome, service is followed by Mince Pies and Ginger Wine. Brief synopsis: In the heartwarming live action adventure Disney’s “Christopher Robin,” the young boy who embarked on countless adventures in the Hundred Acre Wood with his band of spirited and lovable stuffed animals, has grown up and lost his way. Now it is up to his childhood friends to venture into our world and help Christopher Robin remember the loving and playful boy who is still inside. Brief synopsis: The Bromley Boys is a funny yet touching coming of age football memoir played out to the sights and sounds of late 60's Britain. Based on the hilarious novel by Dave Roberts, it recounts the author's highs and the lows supporting the worst football team in the country at the time - Bromley FC.